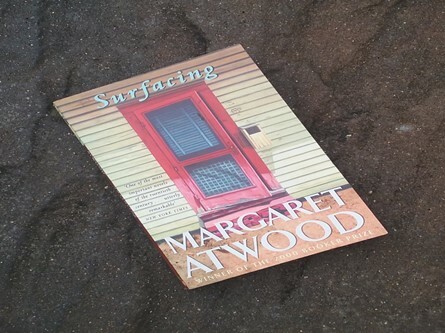 This session on Surfacing (1972) will explore how Margaret Atwood uses myths and fairy tales in the novel, highlighting the obsolete quality of traditional stories and suggesting new visions linked to native Indian legends and Quebecois stories. This is an attempt to re-write the narratives in search of a Canadian identity, proposing a more inclusive vision of humans and nature (animals, plants and minerals) in a metamorphic perspective where all the aspects of the universe interact with each other. After the presentation there will be a Q&A session and also the opportunity to read, discuss and analyse extracts from the novel and some poems from Atwood’s collections Procedures from Underground and The Journals of Susanna Moodie. Text: Atwood extracts (pdf). Extracts from Procedures for Underground (Toronto: Oxford University Press, 1970), The Journals of Susanna Moodie (Toronto: Oxford University Press, 1970), Surfacing (London: Virago Press, 1979). Carla Scarano D’Antonio obtained her MA in Creative Writing at Lancaster University and is working on a PhD on Margaret Atwood at the University of Reading. She and Keith Lander won the first prize of the Dryden Translation Competition 2016 with translations of Eugenio Montale’s poems. Her research is funded by Canada-UK Foundation. This entry was posted in Reading Group and tagged animals & mythical creatures, First Nations, Margaret Atwood, modern/contemporary literature, Native american mythology. Bookmark the permalink.